This is a rectangular Valvoline Motoren-Oel porcelain sign. 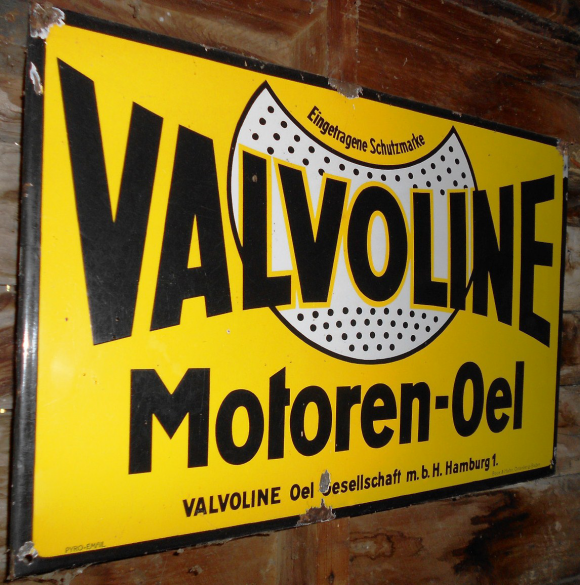 This particular Valvoline Motoren-Oel sign is yellow with black text. It reads, “Eingetragene Schutzmarke Valvoline Motoren-Oel, Valvoline Oel Gesellschaft m.b.H. Hamburg 1.” and features a white crescent with black dots in the center of the sign.